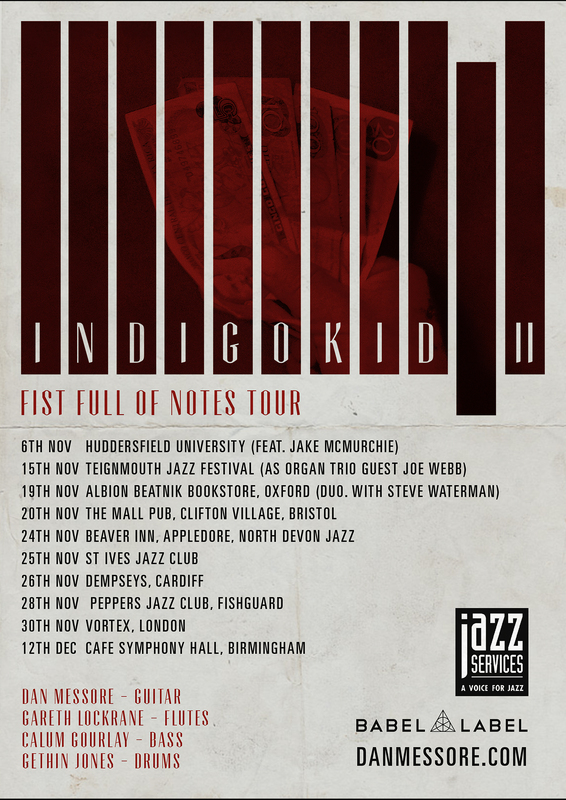 This group is touring nationally supporting guitarist/composer Dan Messore's second release as bandleader of 'Indigo Kid'. The line up glistens with new cohorts. A hefty crew carve fresh musical ground through the wistful signature of Messore's compositions. Harnessing the beautiful power of Gethin Jones (drums) and Calum Gourlay (bass) in the rhythm section, the fiercely talented lyricism of Gareth Lockrane (flutes) and Messore’s seemingly inexhaustible technique and spontaneous imagination. 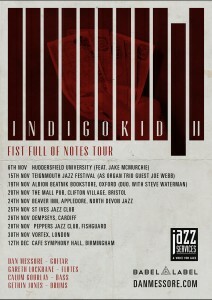 Contemporary jazz influenced by a broad pallet, beautiful compositions and melodic improvisations.